Ride with the Merc! Trick out your car in true Deadpool style! 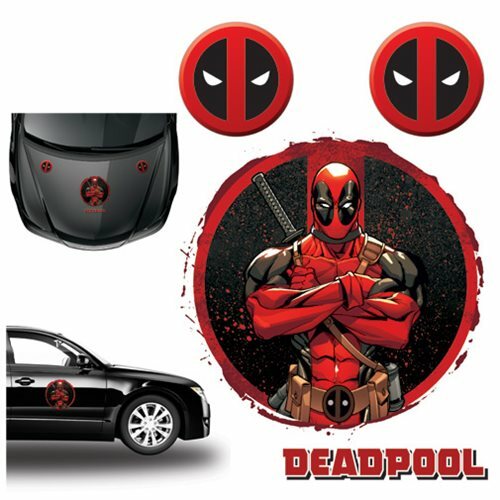 Graphic set comes with 1 Large decal of Deadpool, 2 of Deadpools face, and one the reads "DEADPOOL" The main graphic in this terrific Deadpool Car Graphics Set measures about 13-inches wide x 12 1/2-inches tall. The two decals measures 4 3/4-inches x 4 3/4-inches. While Deadpools name measures 9-inches long and 1 1/2-inches wide. Ages 13 and up.